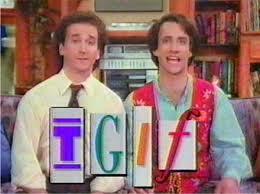 On today's show, Derek, TC and myself discuss some of our favorite, and not so favorite, characters in TGIF history. Of course, considering how many shows were on during it's run, we couldn't get to every show, so we've decided to split this one off into two parts. Aaaaaaand of course it wouldn't be a show without us straying off topic. It's definitely a show that goes off the rails with off topic discussions, but we had fun and we hope you will too!